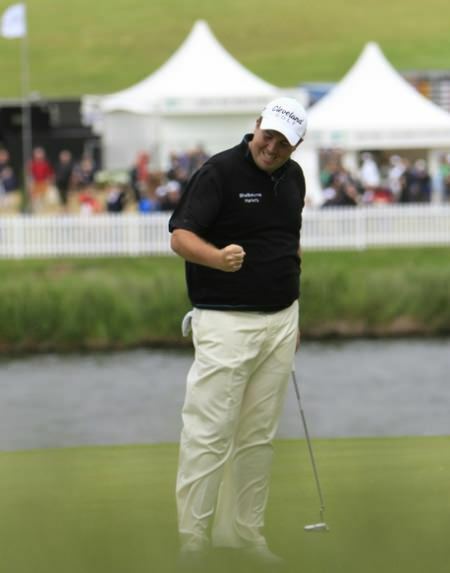 A delighted Shane Lowry birdies the 18th at Carton House on Sunday. Picture: Thos Caffrey / www.golffile.ieThe real Shane Lowry turned up at the Irish Open yesterday and insisted he’s ready to win “any tournament” — including The Open. As England’s Paul Casey spectacularly eagled the last from 60 feet for a 67 to win the title by three shots from Joost Luiten and Robert Rock on 14 under par, Lowry roared back to grab a share of fifth with a closing 69. The Carton House touring pro confessed that the pressure of carrying Irish hopes into the weekend got to him on Saturday as he crashed out of contention with a frustrating 74. Peter Lawrie punches the air after his birdie at the 72nd hole. Picture: Fran Caffrey / www.golffile.ieBut turned it on for 24,173 Irish fans yesterday and can’t wait now to battle for titles like The Open and the US PGA over the next few weeks. Tied with Gareth Shaw, who took home a career best cheque for €61,920, Lowry said: “What a difference a day makes. “I went out yesterday and I tried by bit hard and I was doing my best to give this great crowd something to cheer about today. Eight off the pace starting the day, two early birdies gave Lowry fans hope that he could pull off a miracle. But while he almost aced the 12th, hitting the pin before tapping in for birdie, he had two birdies and two bogeys coming home to finish six behind champion Casey on eight under. Confident he can now go on and win a massive title - or even a major - Lowry said: “The golf I played this week is good enough to win any golf tournament. Lowry carried the tournament on his back for the first three days but frustration and impatience got the better of him on Saturday, when he made early msitakes and let the leaders get away from him. What he will learn from the experience has yet to be revealed but he knows it’s in the memory banks somewhere. Michael Hoey drills an iron shot in the final round. 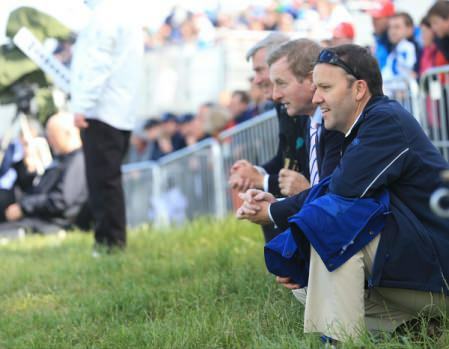 Picture: Thos Caffrey / www.golffile.ie“It’s hard to put your finger on what you learn from days like yesterday,” he said. “I remember when I stated playing professional golf, Dermot was always drilling it into my head, you learn from these days, you learn from these days. “You just do, but you don’t know what it is. It’s something that I actually couldn’t tell you. But when I’m in that position again, I’m sure I’ll handle myself better than I did yesterday. “It was quite tough yesterday. It got to me yesterday. I was very disappointed the way I finished. I knew that I didn’t really give myself a chance to win today, which is something that I really would have loved to have done, and then all of a sudden after 11 holes today, I thought I had a chance. As for the tournament, Lowry believes it’s ready to stand on its own again thanks to the fans and the efforts made by Carton House. “It was great,” he said. “All week the crowds have been brilliant, especially yesterday and today. They have just been roaring for me, every single one of them, I owe a lot to them. Very thankful for what we have here in Ireland. The support is amazing, and you know, it’s great to have such a massive tournament in our little country. “I’ve enjoyed every minute of it. What’s not to enjoy about a week like this? 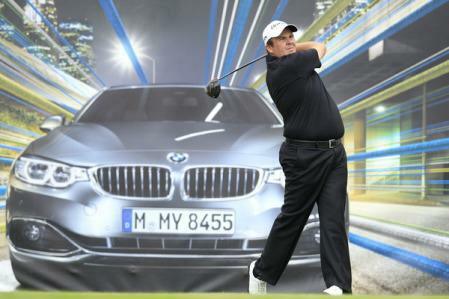 It’s brilliant just playing on my home course in front of the home crowd; what more can I want. “I’m definitely going to sit down when the leaders finish this evening. I’m definitely going to look at that leaderboard, and I’ll be envious of who ever is left on that trophy. It could have been my name on it again. But, I mean, it’s not to be. That’s what this game is about. You don’t know what’s going to happen. Lowry’s performance was one of the highlights of the week but there were many other Irish heroes. With the big names missing the cut, the unsung heroes of Irish tour golf stepped out of their long shadows with Peter Lawrie a case in point. Highy under-rated, possibluy becuase he refuses to court the limelight, Lawrie closed with a 71 to finish tied for 10th on seven under. It was his best finish of the season and his cheque for € 34,800, also his biggest this year, moved him up to 79th in the Race to Dubai standings. Lawrie closed with a birdie and could not have been happier with his week. “I was delighted to be honest with you,” he said. “Conditions were very difficult out there. They tucked away a few flags today, so it made scoring quite difficult. But we had a real squally shower there, 17 and 18, had a good chance on 17, so I would have been disappointed not to finish one-under for the last two. “I think the players are very impressed. The setup of the golf course this week has been tremendous. They have got the rough back and it’s let us play golf. It’s let us play, you know what I mean, hitting a lot of good shots, even out of the rough and I think that’s what the galleries wanted. Lawrie failed to qualify for the Open from IFQ last Monday but can still make it as one of the top non-exempt players after the French and Scottish Open. “I go to Paris next week and then The Scottish Open, and hopefully I play well in either to get into the British Open,” he said. Simon Thornton showed his consistency when he made just one bogey at the weekend, closing with rounds of 70 and 71 to share 18th on five under. Michael Hoey was tied for 32nd with Alan Dunbar in his first start for four weeks and with new baby Erin at home, he heads to France with a spring in his step and his confidence on the rise. It was also a good week for Dunbar, despite a disappointing final round 75, while West Waterford’s Seamus Power returns to the US this week having seen that he can compete at the highest level in Europe. Power’s closing 77 for joint 63rd was not what he wanted but he will draw on his opening 69 and the way he battled back from an early triple bogey seven in his second round to make the cut on the number. Damian Mooney will never forget his hole in one on Friday as he made the cut for just the second time in 17 starts and went on to earn € 3,650 for a share of 70th after rounds of 74, 68, 76 and 77. As for Casey, he was three shots behind leader Luiten overnight but made five birdies in six holes from the eighth to storm ahead and then recovered from bogeys at the 15th and 16th with an eagle three from 60 feet at the last. Back in the world’s top 100 and a winner again just 18 months after breaking his collarbone snowboarding, Casey said: “I’m absolutely thrilled. I always wanted a grandstand finish and I got one. Shane Lowry shows his frustration after driving into a fairway bunker at the sixth in Saturday’s third round. Picture: Thos Caffrey / www.golffile.ieLike the Titan, Atlas, who was punished by the gods and made to support the heavens, Shane Lowry’s single-handed bid to carry the Irish Open on his broad shoulders ended in disappointment at Carton House.